Thank you for your interest in Saddle Mountain Unified School District. We believe everyone learns, every day. We are here to partner with our families and communities to help all students find success in every area of their lives. We invite you to join us in supporting the success of all students. It is an honor to serve as the superintendent. I am excited about the future of the district as we work together to educate all students to become responsible, college-and-career-ready community members. I invite you to join us in this important mission, through the belief that all children are capable of success, with no exception. 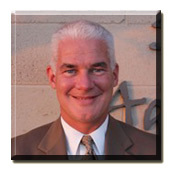 Please take a moment to read Dr. Paul Tighe's biography, and follow him on Twitter.